Christmas on the Hawaiian Island of Maui is special, as it includes things like luaus and Santa arriving by canoe instead of a sled. Taking a Maui vacation for the holidays is one of the most unique experiences you will ever have. Whether you stay in one of our family perfect Maui villas or at a hotel, you're sure to enjoy a uniquely Hawaiian Christmas experience. There are several climate zones on the island and the weather can be different in each one! Generally, the temperatures for a Maui Christmas are between 70 and 80 during the day and dips into the 60s at night, so it's a good idea to bring along a hoodie or a light sweater for the evenings, especially if you are staying in a vacation home at a higher elevations, where it can cooler. There are also storms during the winter that create massive swells that make for incredible beach viewing along the north and east coastlines. This is when the famous Peahi or Jaws surf break comes alive. While Maui is known as a tropical paradise, it does get snow but it is rare and fleeting. 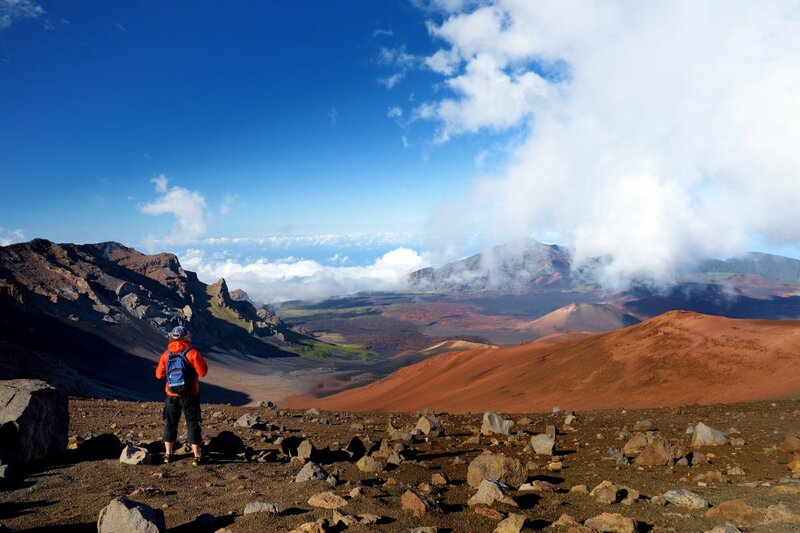 The most common place for snow is on the summit of Haleakala, a mountain rising to a 10,000-foot elevation. 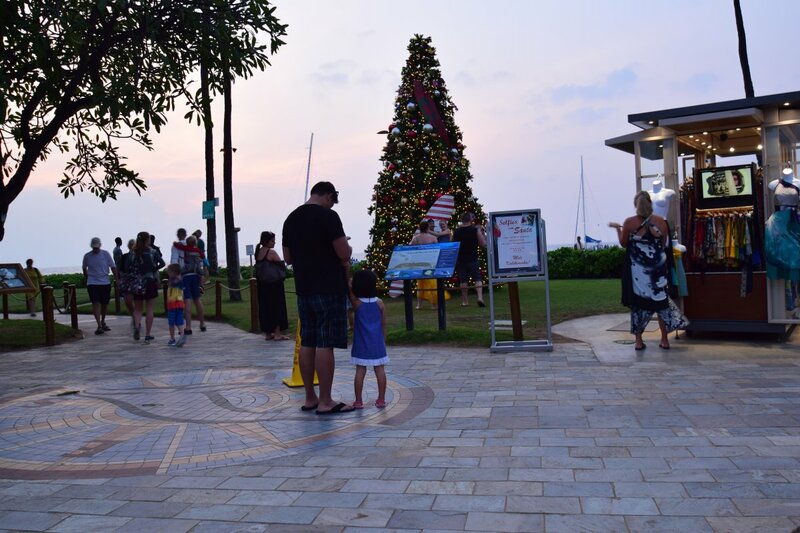 Maui has a ceremonial holiday tree lighting as do many towns in the US mainland, but it's special on the island because the lighting is in Lahaina at the old Banyan tree. The tree, more than 60 feet tall and has multiple tunks, making it look like many tree growing into one big canapy. The tree was a gift of missionaries in India to commemorate the 50th anniversary of the establishment of the first American Protestant mission. It was planted in 1873 and is the largest such tree in the United States. The lighting itself is different from other Maui holiday activities. 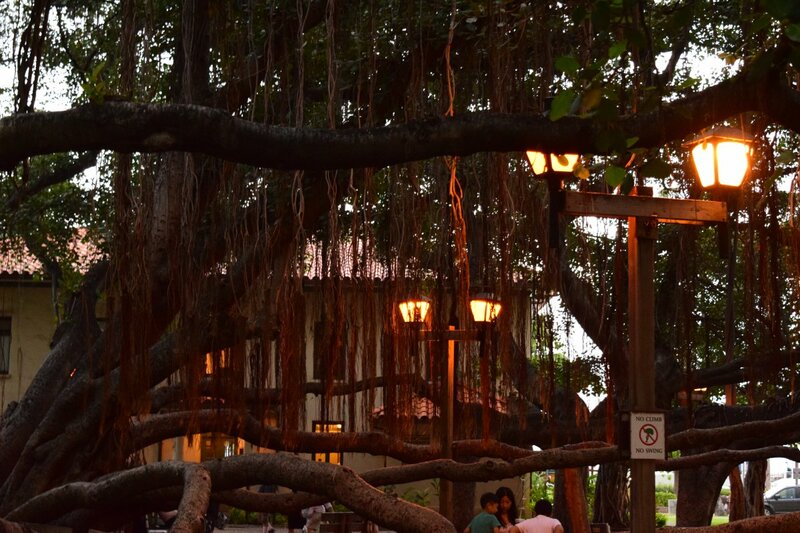 At the Banyan Tree Lighting, the lights showcase the trunk and prop roots so it is like walking in a tropical wonderland. Walking under the tree in the evening is magical and the noise from the many nesting birds can be quite loud! This year on Maui, Christmas kicks off Nov. 28 at the Kaluanui Estate, a historic venue, with the First Night Celebration. The event features music, food, drinks and lots of art. Local artists, craftsmen and vendors will be there to provide what you need to complete your holiday gift list. The holiday spirit continues with all kinds of performances throughout the season at the Queen Ka’ahumanu Center. The center highlights local talent as well as well-known artists. There are plenty of shops and food available to keep you going in between performances. Santa does get around and just like the rest of us, Santa loves to visit Maui. The difference is that here you never know how and where he will show up during your Maui vacation! Sometimes he comes by canoe and other times by jet ski, boat or sleigh. Sometimes, he even flies in a helicopter! However he visits, Exotic Estates Maui advisors will be able to tell you the exact time and place. Usually, he visits during the Christmas luau. 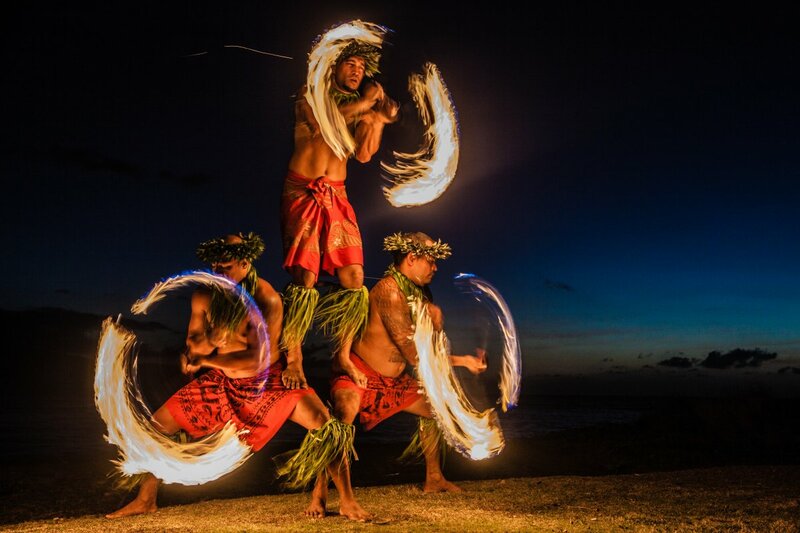 A beach luau for Christmas is an experience no one should miss. Hotels and restaurants have luaus all the time, but two favorites are on Christmas Eve and Christmas Day. Most luaus include traditional Hawaiian food like pig and laulau, and traditional mainland dishes like duck, turkey and lots of desserts. One of the joys of renting a vacation home on Maui with friends and family is that you are free to make your own holiday celebration! You can usually dine indoor or out and can even mix in a little beach time. 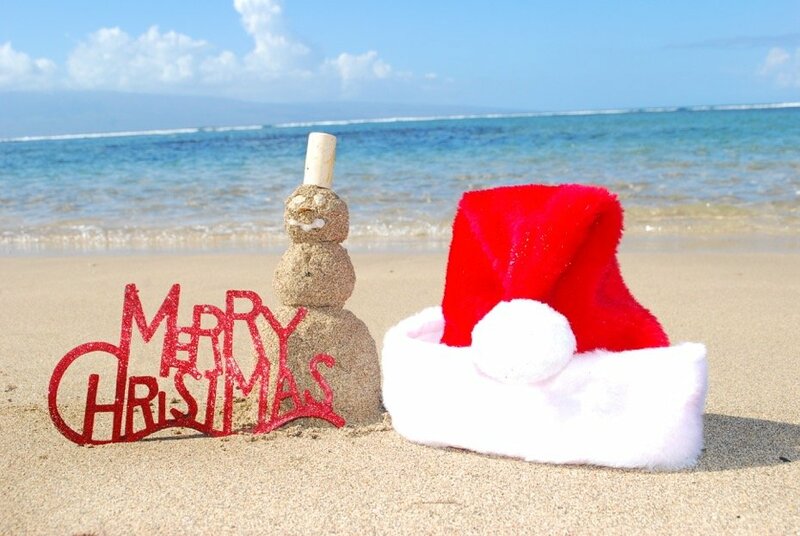 This is why so many people come back to Hawaii and Maui in particular year after years, they can mix Hawaiian and Christmas vibes like a craft holiday cocktail to be savored by all! Maui offers culture and activities for the holidays you will not find anywhere else. From whale watching to attending the theater show at the Maui Theater in Lahaina called "Ulalena," there are amazing things to see and do for a Maui Christmas! 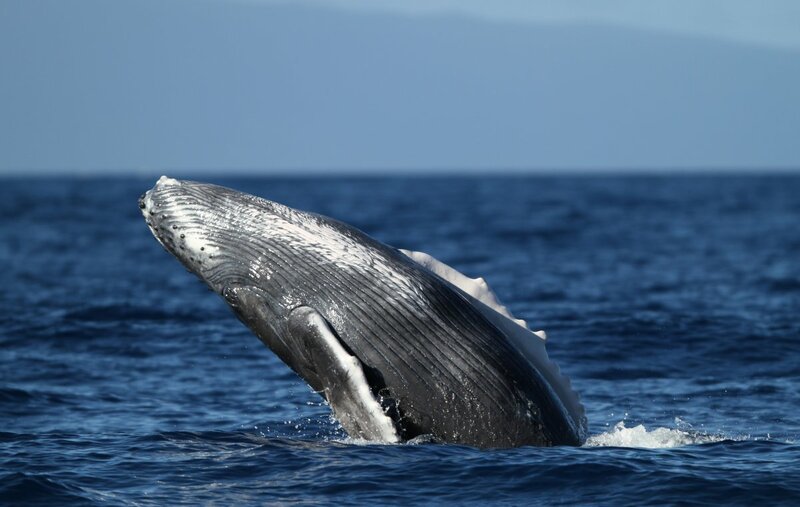 Whale-watching season kicks off in November, so if you are in Maui in December, expect to see the wintering humpback whales breaching offshore. Of course, you can and should plan a whale watching trip to get a uniquely closely look at these gorgeous creatures! You Exotic Estates local Maui tram can assist with all of your trip planning.